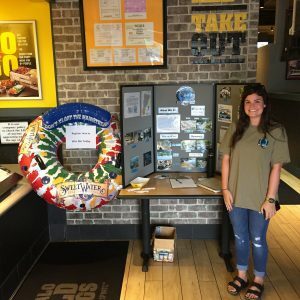 Two C&IS students will be using their communication skills in the field of water conservation as beneficiaries of the Curtis and Edith Munson Foundation this summer. 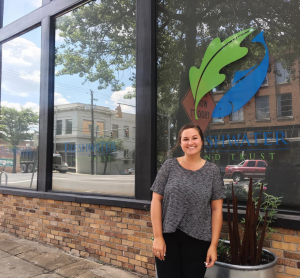 Hope Runyan (left) will be working with Black Warrior Riverkeeper, and Megan Perkins (below) with Freshwater Land Trust. Each student will work in a nine-week internship at each of their respective locations, during which they will write blog posts, plan social media content, write press releases and attempt to grow the audience of their posts. At the end of the Summer, they will supply their supervisors with a binder, showcasing a complete summary of the work they have done and the measurable effects it has had. The University of Alabama received $18,000 from the Munson Foundation to fund two student internships and scholarships for this year, as well as an additional two-year extension of their grant status. The total support for student initiatives over the next three years for University of Alabama students is $54,000. The Curtis and Edith Munson Foundation is a philanthropic foundation which provides grant money aimed at the conservation of natural resources in eastern North America and the Caribbean Basin, with an emphasis on the United States. The foundation typically grants money to the following areas: marine resource conservation and management with priority to fisheries, South Florida ecosystems, and Alabama environmental issues.